Dustin Johnson achieved a feat Tiger Woods didn’t even manage as he became the first player to win every World Golf Championship. Although Woods has 18 WGC titles to his name, he never won the WGC-HSBC Champions and, after victory at the WGC-Dell Technologies Match Play, Johnson now has five WGC titles and the ‘WGC slam’. “Pretty awesome,” said Johnson after his dominant week, in which he played 112 holes and never trailed after any of them as he took down Jon Rahm 1UP in the final. For a time, it looked like Johnson – who had earlier defeated Hideto Tanihara 1UP in the semi-final – was going to coast to victory against Rahm as he went 5UP through eight holes. 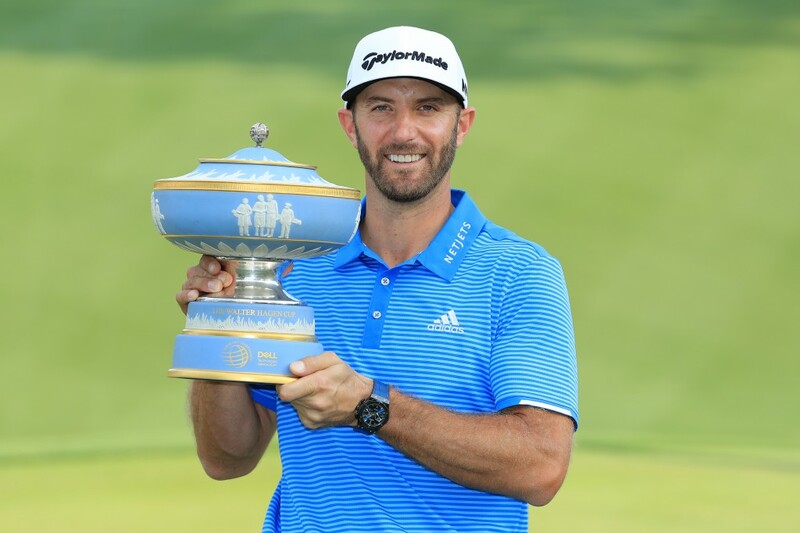 However, Rahm won the ninth, tenth, 13th, 15th and 16th holes to peg it back to 1UP – Johnson won the 12th – but pars for both players on the final two holes meant that the American clung on. The WGC-Match Play was only Rahm’s second WGC start but already the 22-year-old has made an impact and, although he was disappointed in losing, he left Austin focusing on the positives. “It shows me that I can compete with someone like DJ and any other player, even if I had probably one of my worst front nines possible,” Rahm said. Johnson is now the 5/1 favourite to win The Masters, while Rahm is down to as low as 22/1.